The shopfront still read 'Grocer & Victualler' when this photograph was taken in 1986. Now a pub only, the building looks much the same today. The small tin Guinness sign is gone; there are now illuminated signs for Heineken and Carlsberg over the doors to the bar and lounge. 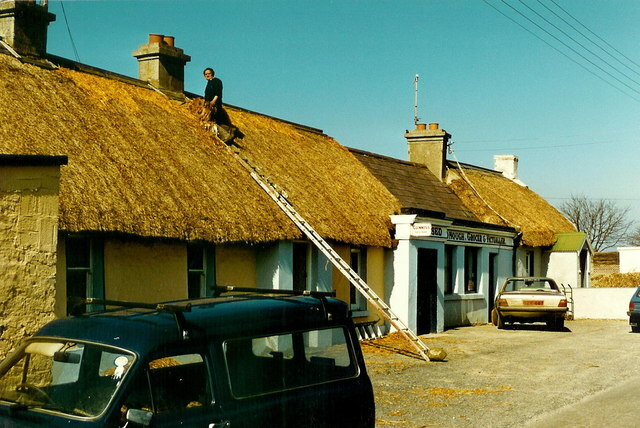 The thatcher on the roof is John Matthews of Dunleer. This page has been viewed about 1034 times.